Balanced. Intuitive. Integrated. It's Time! The BLK LBL Bipod’s innovative barrel-through design* allows the rifle to sit ‘in’ the bipod, rather than ‘on’ it, with the center of rotation of the bipod effectively centered on the bore, making it inherently more stable. 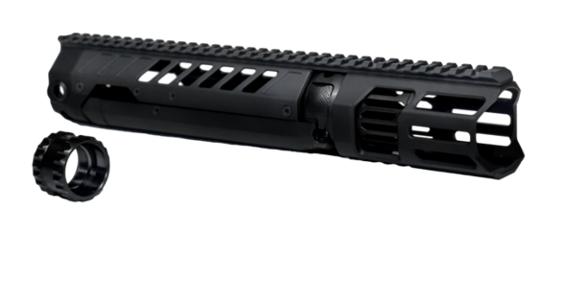 The result is a balanced rifle without the top-heavy tendencies that can come from large optics. The ball and socket joint provides fluid movement for improved target acquisition and accuracy. With 40 degrees of pan and 15 degrees of cant in each direction adjusting leg length to level your scope is a thing of the past. BLK LBL was borne out of the question; why is something as practical as a bipod still an impractical attachment? 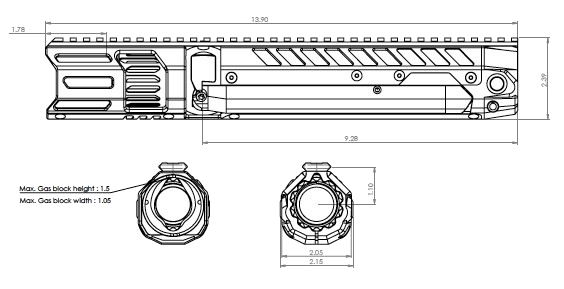 When not deployed, the legs of the BLK LBL Bipod easily fold to the rear, flush with the hand guard. 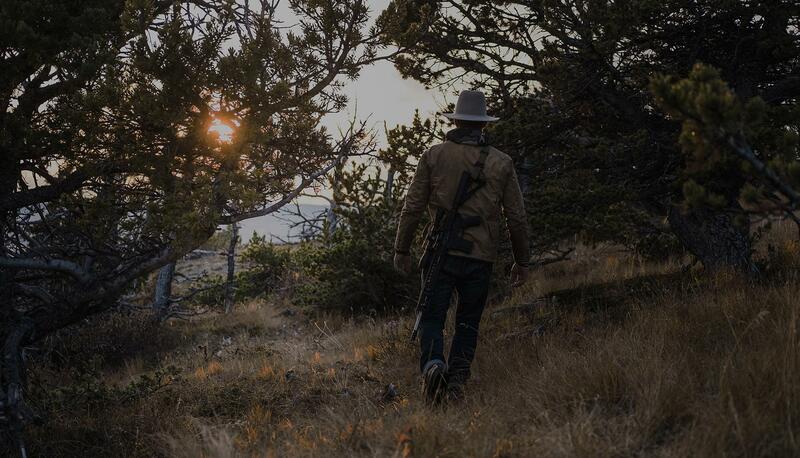 This means they won’t catch on clothing, gear or branches when you’re on the move, and won’t interfere when shooting off hand, from a barricade, or even when storing your rifle. 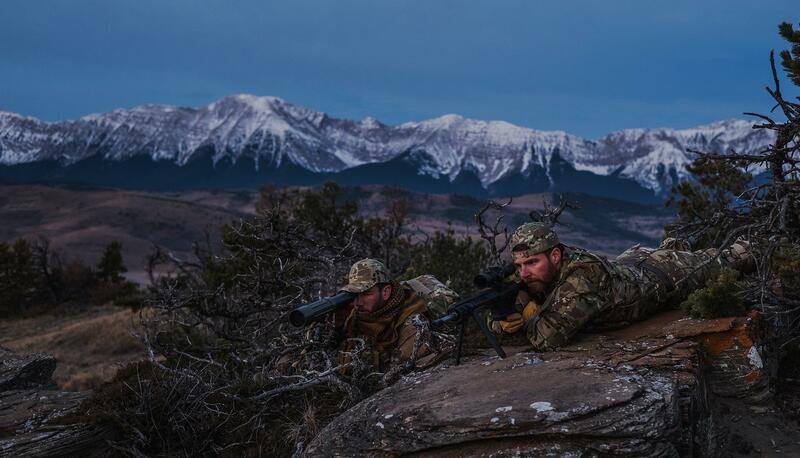 With improved accuracy, lightweight construction, added stability and an expanded range of motion, the BLK LBL Bipod is the new pinnacle of bipod technology. Whether you’re in law enforcement, the armed forces, a sport shooter or hunting in the great outdoors, this bipod gives you exactly what you’re looking for; improved performance. 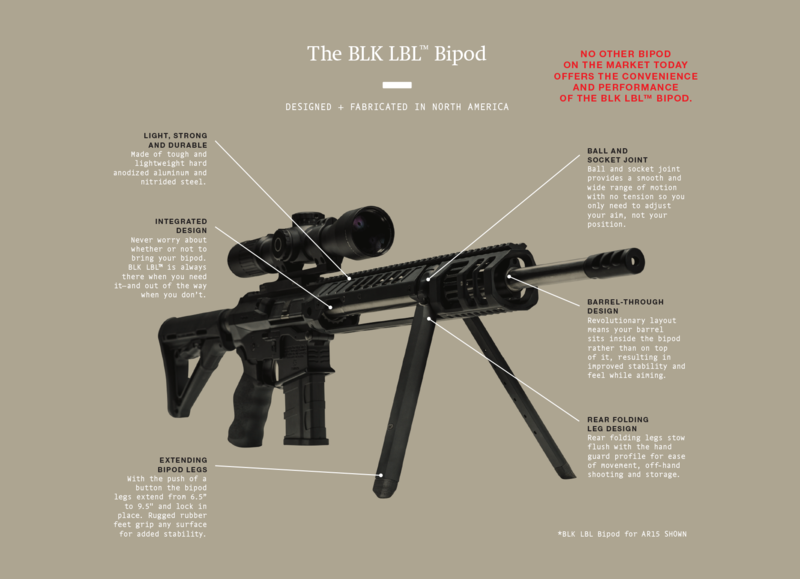 The BLK LBL Bipod provides improved accuracy and proven stability in all sport shooting competition situations. 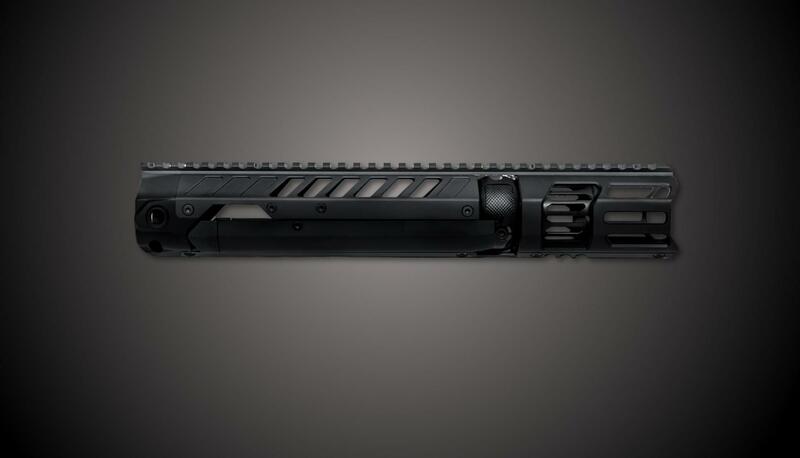 The stowed bipod legs won’t interfere when shooting offhand or limit the placement of your fore-end on a barricade. 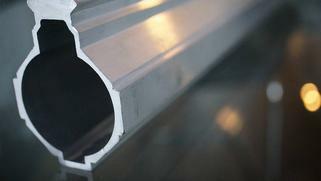 The flat section on the bottom of the guard rests solidly on a hard surface or sits securely on a bag. The advantage of having a bipod when hunting is undeniable but the current bolt-on solutions are inconvenient. The integrated design of the rear-folding legs on the BLK LBL Bipod means your bipod legs won’t catch on brush, branches or your gear and allows the use of a standard soft rifle case or scabbard without removing the bipod. Safety, stability and control. 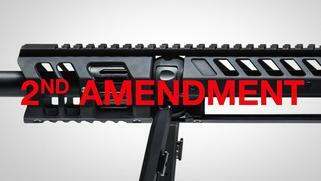 It applies to law enforcement, as well as the BLK LBL Bipod. Improved accuracy means rounds on target, which results in a quicker, safer resolution of situations where protecting citizens and ensuring public safety is of primary importance. 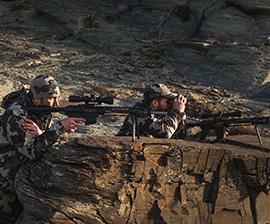 Our mission is to provide the best possible bipod solution to those that rely on it to perform their duty. 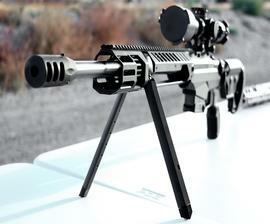 A bipod that is not only more functional but does not sacrifice close quarters handling for long range precision. The BLK LBL Bipod won’t catch on your gear, limit your firing position in tight quarters or from small openings and makes any rifle more versatile. 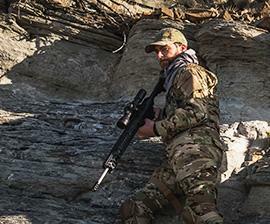 The BLK LBL Bipod makes operators and their team more capable and effective in nearly any situation. Our lifetime warranty is simple. 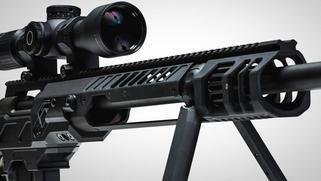 the new standard in bipod stability, flexibility and convenience. brought to bear on one objective; building a better bipod. 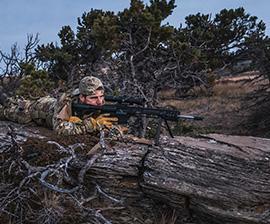 in bipod stability, flexibility and convenience. events and updates from BLK LBL.